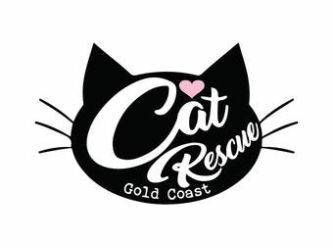 Cat Rescue Gold Coast Inc.
At Cat Rescue G.C we are dedicated to rescuing, rehabilitating and successfully rehoming cats and kittens throughout the Gold Coast. We are focused on helping abandoned, abused, surrendered or stray cats and kittens and especially those who are in greatest need. Once safely in our care all cats and kittens will be placed in loving foster homes where they will stay until they are lucky enough to find their very own forever home. We have no time limits set on their lives. We are a no kill group! While in our care, we organise for all vet work to be completed including any emergency needs, desexing, vaccinating, microchipping, flea and worm treating. 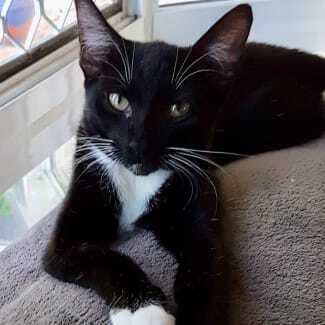 We are a group of genuine cat lovers, who are all volunteers, doing our best for the love of our feline friends and to help bring awareness, understanding and compassion, to the colonies in particular, throughout the Gold Coast. Any adoption fees received by us are used directly to help us assist the next cat or kitten in need. You can help us by sharing this page and offering your support so we can continue to rehabilitate and re-home cats and kittens who need us the most. Please feel free to email us if you have any questions or ideas in which we can help to support and care for the cats and kittens throughout the Gold Coast. Ruby 💕 Ruby is adorable. She is a friendly and playful kitten who loves cuddles. D.O.B. 28th October 2018 Please contact us if you would like to arrange a meet and greet with Ruby. Skye 💕 Skye is a beautiful girl. She loves to fall asleep on your lap, but is also very independent. She loves her food and chasing her sister around the house. Skye gets on well with dogs too. D.O.B. 14th October 2018 Please contact us if you would like to arrange a meet and greet with Skye. 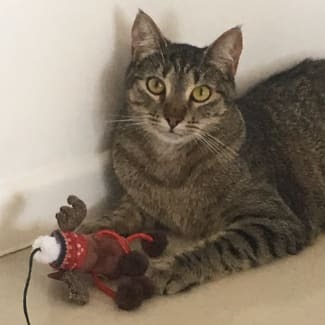 Tabetha is a beautiful girl who was saved from a Gold Coast industrial yard. She has a very sweet nature and is looking for a family that will love her forever. 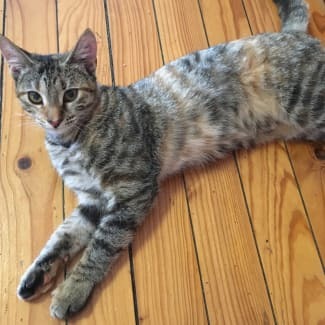 Tabetha is initially quite shy as she is still learning to trust, however, she loves head rubs and enjoys playing with her foster siblings and would thrive in an environment amongst other cats. Can you find it in your heart to give this gorgeous girl the chance she really does deserve? If so, please contact us to arrange a meet and greet with Tabetha. This gorgeous tabby girl has the most beautiful markings along with an amazing personality. She is incredibly adventurous and loves to explore everything. 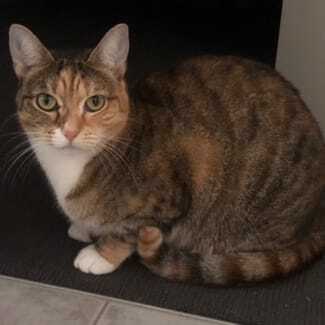 She is super friendly, affectionate and would be the perfect addition to any family. Trixie also has a bonded partner Rocco if you would like to adopt a pair 💙 D.O.B. 28th September 2017. Please contact us if you would like to arrange a meet and greet with Trixie. 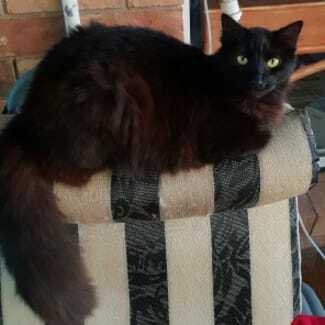 Jett 💙 Jett is a cute gorgeous boy with a huge fluffy tail. He loves to play, loves other cats and is totally intrigued by dogs. He enjoys a good pat too. D.O.B. 15th November 2017 Please contact us if you would like to arrange a meet and greet with Jett.